How do I know that I need bodywork, specifically Zero Balancing? I had the experience recently of “limping along,” restricted in my low back, calves, shoulders, chest, and other places too numerous to mention. Some of this tension was purely physical, to be sure. I work as a massage therapist, seeing two to six clients each week day, which inevitably involves some heavy lifting. Heads alone can weigh up to 25 pounds. But a fair amount of the tension I was carrying–it sometimes feels crushing–has to do with emotional stress. At this point in my life, I’m losing friends to cancer. Four women in their fifties have died over the last five years. My aunt, my second mother, I fondly called her, had a fall which proved fatal. Both of my parents also recently passed, after several years of my helping them through growing and ever worrisome medical needs. Life for someone in her early fifties has these sort of personal stressors–so many of my friends share similar stories–not to mention the daily calamities and world-threatening trends, natural and man-made, we read or see on the news. I suspect that my tension, which as I mentioned gives me a personal experience of what it must feel like to be a black hole, sucking my outsides in in some kind of force of nature grip, is the direct result of my literally feeling small and powerless in the face of these events, tragedies and losses. My point is, my stress is not just in my gray matter, even if it starts there. It reaches its tentacles in the form of signals and stress hormones into my tissues. As these flow, I lock up. And I need someone to pry me loose. Why don’t you stretch? Why don’t you meditate? Or run or swim? You may be well wondering. I do all these things, plus eat well (when I can) and sleep. I also recently cut out working six days a week. However, there is no replacement for having someone “reach underneath my tension” as a friend and fellow practitioner calls it, and gently yet firmly create space to allow a flow I only enjoyed on a regular basis when I was a kid. Lying on the table during yesterday’s Zero Balancing session in Michael Oruch’s studio and sanctuary in the Bowery in Lower Manhattan, I went from limping along to laughing in a matter of 30 or so minutes. I felt met and tended to on such a deep level–at my marrow–releasing waves, maybe tsunamis of grief–yet all the while feeling completely safe physically and emotionally. Toward the end of the session, (which is offered through clothing and requires no oil or lotion) during which Michael worked my ribs, sacrum, lumbar spine, hip joints, ankles, feet — places so numerous and intractable, try as I might I could not open them with any amount of movement or stretching–I realized I no longer felt small or powerless. In fact, quite the opposite. This relief and aliveness was undeniable and also, for me, a hallmark of Zero Balancing sessions I’ve received from other practitioners. Walking down the street afterwards, I could say without hesitation that Zero Balancing is one of the best things in this world. My sense, as a bodyworker, that healing possibilities through touch are infinite. Professional touch, while geared to provide a consistency of experience to the client, also allows for that person’s individual response to a multitude of factors, including pain sensitivity, pressure, etc. In approaching a new client, for example, I ask her if she is used to touch, therapeutic or otherwise. If not, I approach such a client with greater awareness so as to provide an experience of the potentials of touch. In massage, for example, my goal is to recede and to allow the client to feel himself on a multitude of physical levels – skin, muscle, fascia, nervous system, fluids, and, for me, most importantly, bone. Bone is the primary focus of my touch in the work I do known as Zero Balancing. Bone, being the densest tissue in the body, and the deepest, is believed and felt to provide a thoroughfare for the strongest flows of energy in the body. 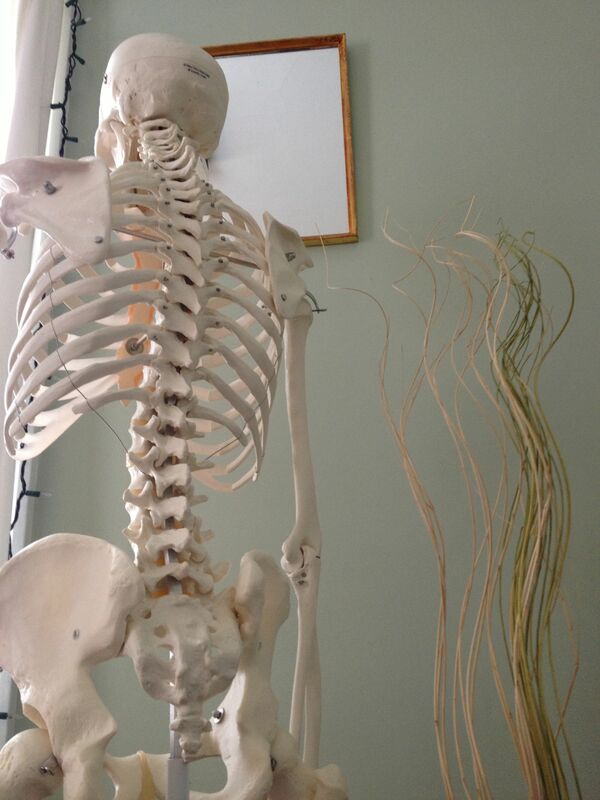 The body is an electromagnetic wonder and Zero Balancing’s founder Fritz Smith, MD has shown students over and over that firm touch applied to bone with clarity of attention yields increased and smoother flow. The best method for measuring the skeletal level flow is to feel it operating within. For many, especially those receiving Zero Balancing for the first time, it is a revelation. Most people describe a tingling, an aliveness, a soothing and pervasive calm that is as satisfying as, but noticeably different from, the giddy, endorphin-laced feeling that follows a full body massage. Clarity in one’s bones starts to translate into clarity in one’s life. Thoughts, emotions, impulses, physical discomfort, movements and vitality tend to become easier, richer, more spacious, and smoother. Life, once pommeling and punishing, becomes more of a dance in which the person feels connected on multiple levels to a greater whole. One touch, as I myself have felt, can illuminate connections within the body. I remember one particularly amazing ZB session I had where each scapula was clearly linked with the opposite foot, transcending physical and neurological relationships. This discovery was deeply healing for me, a discovery of feet on the ground and wings in the air. For other people, creating or actually rediscovering connections leads to improved flow, strength and support. These relationships can be equally powerful between one person and another. Touch can facilitate this kind of bridge building. In ZB we experience that bone holds tension, often caused by forces of muscle, tendons and joints acting upon the bone. Bone-held tension is also the result of the insults and impacts of early childhood, when bones are still growing, molding and morphing, unprotected by any muscular “armor” we may form later on. This information, this personal history, can be accessed, and perhaps even decoded, through the skilled touch of an experienced practitioner for the sole benefit of the client. The deepest, earliest, most inaccessible parts of us, are suddenly opened and illuminated, not through thoughtful questioning, but through clear and respectful touch. Memories long forgotten often emerge vividly during Zero Balancing, and, likewise, during any touch therapy that accesses bone. I myself have experienced this many times, to my own astonishment. Many insults, once cleared, with or without verbal processing, enabled me to transcend established patterns in my closest relationships. The results are many. I feel safer with others. I am more able to be present and listen to others, ignoring and quieting the chatter in my head. I feel my feet more solidly on the ground and this stability makes me a better support for others. I can laugh at myself and at life. All benefits sparked by the catalyst of healing touch. When we consider how so many of us are at a loss for how to improve our pain, our lives and our relationships, perhaps it’s time we look at one of the lowest tech, lowest cost, lowest risk methods we can try. In the days when Zero Balancing first appeared, people were not sure what to call it. The name ‘Fritzing’ was suggested, after Zero Balancing developer Fritz Smith, MD, an osteopathic physician and Master of Acupuncture. He rejected this moniker, not wishing to bring undue attention to his person and to enable ZB to grow and flourish independent of his authorship and personality. ‘Structural acupressure’ was his name for the work, which combines principles of Eastern approaches to energy healing and Western understanding of body structure, anatomy and scientific inquiry. It was only when a person receiving the work exclaimed that she felt “balanced to zero” that the current name was born. What is balance but internal harmony and equilibrium? What is Zero? A complete abstraction, whereas nothingness defies quantification, by definition. In our world of stuff, how we long for open, empty space. In our cluttered minds, how we long for peace from thought. Imagine a blissful Zero, without the need to know, or judge, or understand. Imagine your ideal of balance with yourself and within yourself. In a moment, the slate of life is washed clean, and new possibilities, ones never before considered, arise. Another reason why the name Zero Balancing is quite right for the work of bringing us back to ourselves.